Winchcombe is an unspoilt golden-coloured market town set above the River Isbourne on the Cotswold edge. Cottages, small shops and some good pubs and tea-rooms give the town a warmth all of its own. The town was an important centre in Saxon times and later became the site of one of the largest Benedictine monasteries in England. Although the abbey has now gone, the town thrives. The stone Church of St Peter displays an altar cloth worked by Catherine of Aragon. Outside the church there are 40 gargoyles, said to represent local town characters from the 1460's. Dent's Terrace is a splendid set of almshouses and there are beautiful sets of cottages on Vineyard Street. Winchcombe borders Sudeley Castle which is renowned for its 1000 year Royal history and beautiful gardens. Winchcombe is a great base for walkers with the Cotswold Way, Gloucestershire Way and Wychavon Way all passing through. The Wardens Way & Windrush Way both start and finish here. Nearby Belas Knap is a Neolithic barrow in a spectacular location above Humblebee Woods (beloved of Tolkien). The town has been awarded The Walkers Are Welcome status and hosts an annual walking festival in May. The town became prosperous from its Abbey (one of the largest Benedictine monasteries in England), its wool trade and as a producer of tobacco. Although the Abbey (and the tobacco!) have gone there is still much to see of historic Winchcombe. If you take a stroll along Gloucester Street through Abbey Terrace to Hailes Street and then back along Chandos Street and down North Street you will see the wealth of the town reflected in many of the buildings as well as in the surrounding countryside. 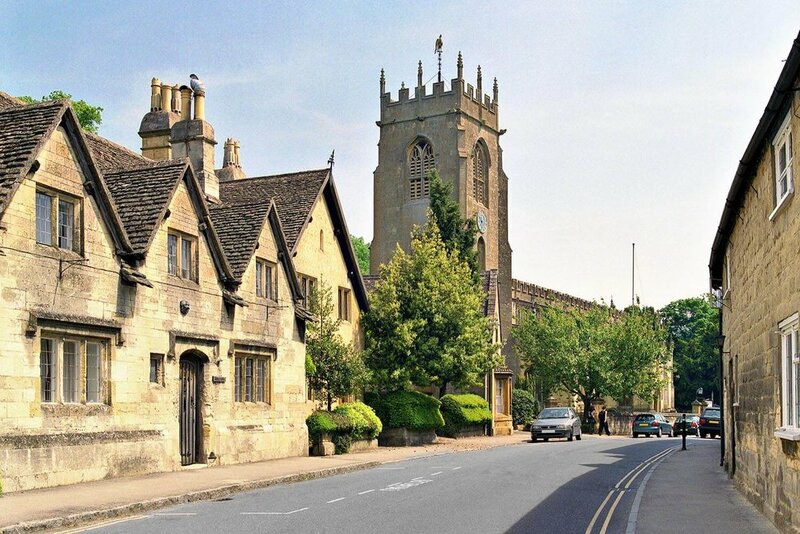 No visit to Winchcombe would be complete without seeing four of the most prestigious historical sites in the area. Sudeley Castle (home of Queen Katherine Parr up to her death in 1548), Hailes Abbey (a Cistercian House founded in 1246 and owned by English Heritage), Stanway House (a Jacobean manor house with world-famous fountain) and Belas Knap (a Neolithic long barrow dating from circa. 3800 BC) all offer a fascinating insight into the life of our forbears. For the more mechanically minded the GWR Steam Railway (which runs from Toddington through Winchcombe to Cheltenham Racecourse) provides a fantastic fun day out for the family and the Prescott Hill Climb is home to one of the world's most prestigious motor racing venues. 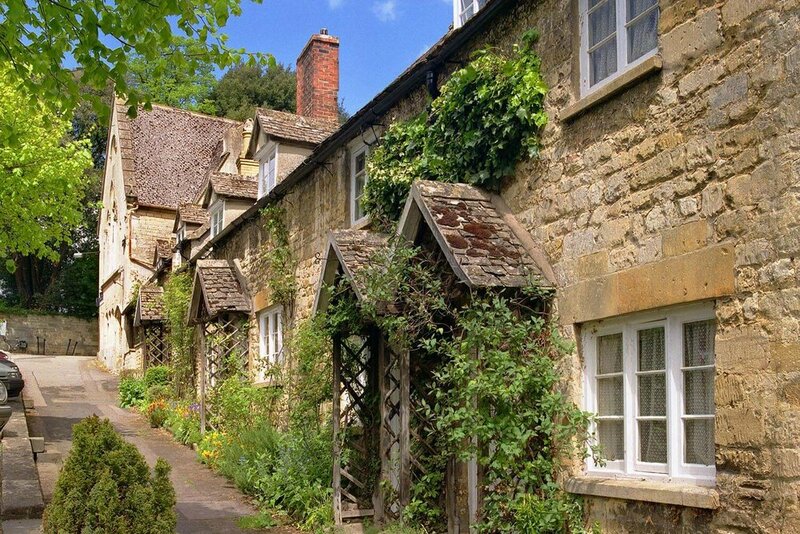 Known as the walking capital of the Cotswolds and with "Walkers are Welcome" status Winchcombe sits at the intersection of the Cotswold Way, the Gloucestershire Way, the Wardens Way, the Windrush Way and the new Winchcombe Way. The Winchcombe welcomes walkers website has a wealth of information designed to tempt you to take anything from a gentle stroll to a vigorous long-distance trek. When it comes to eating and drinking you will be spoiled for choice. Winchcombe has "Fair Trade" status and has a mouth-watering selection of top quality restaurants, a wine bar, pubs, tea shops and a contemporary delicatessen/coffee shop. So whether you want a quick snack or a leisurely meal there's plenty to choose from. With a vibrant music & arts festival May/June, a country show in August and a Christmas Festival in December the town also has a busy cultural and commercial schedule. So as you can see there's a great deal to experience in this lovely hidden jewel in the Cotswold crown.